We may collect personal identification information from User including, but not limited to name, address, email address, phone number and birth date. For certain classes of membership we may also collect additional familial information. We collect that information when Users visit our Sites, posts on our Sites, submits an article for publication, submits a registration form for an event, submits a membership application, direct emails us, has telephone conversations with us or communicates with us in any way either electronically, verbally or in printed form. User may, however, visit our Sites anonymously. We will collect personal identification information from User only if they voluntarily submit such information to us. User can always refuse to supply personal identification information, except that it may prevent them from engaging in certain Site related activities. We may collect non-personal identification information about User whenever they interact with our Site. Non-personal identification information may include the browser name, the type of computer and technical information about Users means of connection to our Site, such as the operating system and the Internet service provider’s utilized and other similar information. To improve our Site or Publications. We may use feedback you provide to improve our products and services. To use other personally identifiable information of yours including photos, comments/quotes in other posted or printed Publications including (but not limited to) flyers, and notices, or to post on our Sites. User has the right to Opt Out of receiving general email communications from our Club at the time they join by selecting the email “Opt Out” option on the Membership signup form. User may also Opt Out of receiving emails after Joining by selecting the “Unsubscribe” link at the bottom of the emails we send, or User may edit their email preferences in the Member Menu on the www.greatohiocc.org website. User may also contact us by mail, email or phone with a request to be removed from our general email communications lists. Opting Out of general email communications will not prevent User from receiving certain email communications including account-related emails (expiration, renewal notifications), member vote and/or election related notices or other communications deemed critical by the governing committee. User may edit their Facebook preferences to prevent receiving notifications of page updates on our Facebook site. User has the right to Opt In as to what personal information we are allowed to share in our Publications. For example, we may use information provided by you including your name, address, phone number, email address and birth date (month and day only) to publish in our Membership Directory. User has the option of selecting what information we are allowed to publish. User may contact us by mail, email or phone to change their preferences at anytime. We adopt appropriate data collection, storage and processing practices and security measures to protect against unauthorized access, alteration, disclosure or destruction of your personal information, username, password, transaction information and data stored on our Site. No financial credit card information (other than confirmation of payment received by our payment processor) is collected or stored by this site during the course of member registration, event registration or online store purchases. We do not sell, trade, or rent Users personal identification information to others. We may share generic aggregated demographic information not linked to any personal identification information regarding visitors and users with our partners, for the purposes outlined above. 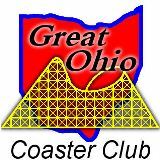 We may share a limited subset of information including a Users name and Membership Number to affiliated parks at their request for the purpose of verifying membership in the Great Ohio Coaster Club Inc. in order to extend special member benefits. We specifically bar individuals or partners from using information supplied, including information published in the Membership Directory, for commercial purposes including (but not limited to) marketing or direct communication. Users may find links to other content on our Site that link to the sites and services of our partners, suppliers, sponsors, and other third parties. We do not control the content or links that appear on these sites and are not responsible for the practices employed by websites linked to or from our Site. In addition, these sites or services, including their content and links, may be constantly changing. These sites and services may have their own privacy policies and customer service policies. Browsing and interaction on any other website, including websites which have a link to our Site, is subject to that website's own terms and policies. While our Site's are generally considered suitable for those with young viewers, protecting the privacy of the very young is especially important. For that reason, we never publish information on our Sites or in our Publications from an individual we know is under the age of 13 without their parents or legal guardians consent. By signing up your child for unrestricted website access you agree that you have the legal authority to do so, and further agree to monitor the child’s usage of the Sites. If you wish to have your child’s access to the Sites removed, you may do so by contacting us by phone, email or in writing and their access will immediately be terminated.